Lunches will be a lot of leftovers, but have also bought some lower fat super noodles which are syn free and very warming (just right for this time of year!) and plan to mix with tinned bean salad, salad or roasted vegetables. Managed to lose a pound last week even though I comfort ate.....a lot! It could be #Ted the tumour causing the weight loss, but the pounds that do come of will make life easier when I get a date for him to be evicted for good! 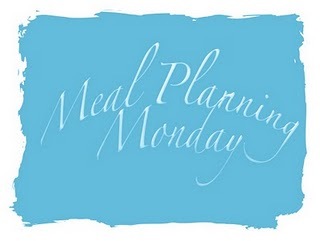 Don't forget to get yourself over to the truly wonderful and recently revamped site of At Home With Mrs M to see other people linking up with Meal Planning Monday. And don't forget, weight loss is all in the planning!